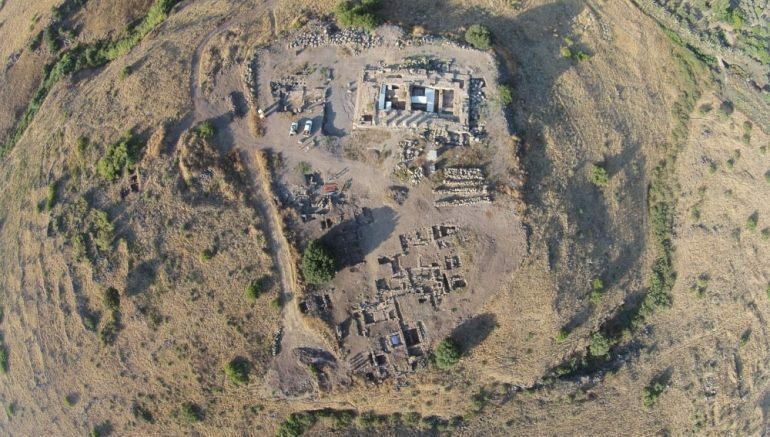 The archaeological site of Omrit in northern Israel has come to the fore in recent archaeological news, with researchers being able to discover the comprehensive ruins of a 1,900-year old ancient Roman house. Possibly built during the late first or early second century AD, the imposing building with its two storied construction, revealed a flurry of nature-themed frescoes and plastered floors. 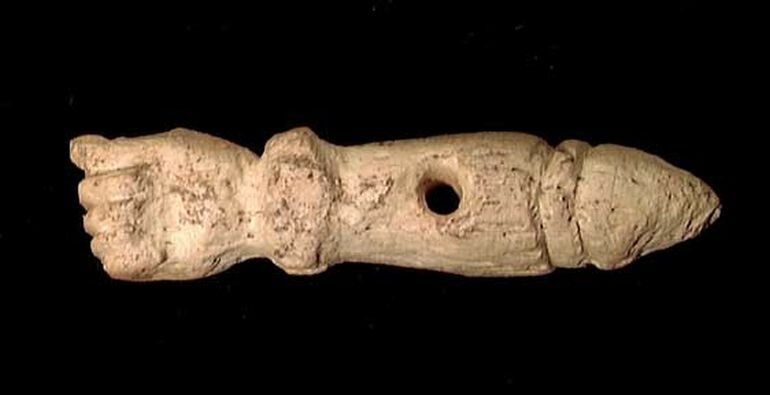 These typical Roman architectural elements were accompanied by seemingly bizarre amulets shaped in the forms of phallus. 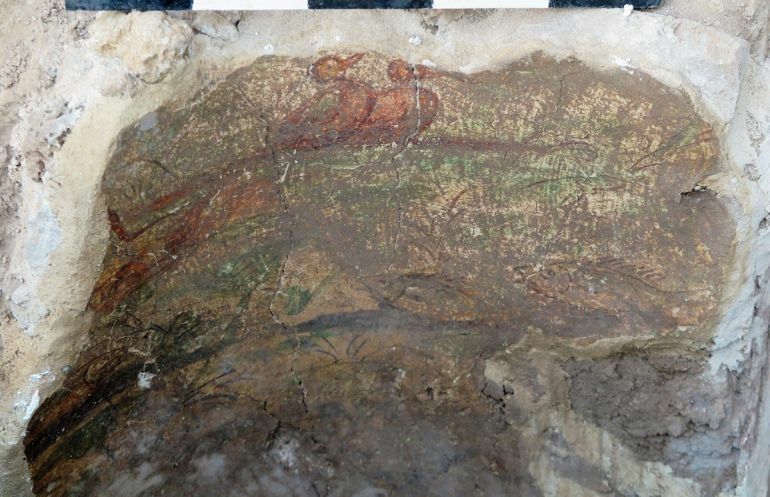 The frescoes depict a bevy of nature-themed images – including trees, bushes, birds, fish, plants, and one painting representing two ducks huddled together. However, intriguingly enough, the entire domus was probably demolished some time in early 3rd century AD, as could be surmised on finding a layer of fill on top of the remnants of the actual house. The residence probably made way for a stoa, which pertains to a classical portico (covered walkway). The phallus-shaped amulets in question were actually found in this layer of fill that covered the house ruins. And judging by the date of the fill, the researchers have concluded that these amulets were crafted before early 3rd century AD. Now in terms of Roman history, the phallic symbolism went beyond low-brow eroticism to account for superstitions and charms. For example, bronze wind chimes known as tintinnabula – shaped like phallus, were a Pompeian specialty, used as decorative items to ward off misfortune. Similarly, the fascinum effigies and charms embodied what was considered as the ‘divine phallus’ in ancient Roman religion and magic. Suffice it to say, such types of amulets have been found in a plethora of other Roman sites. And since we brought up the scope of historicity, the researchers are still not sure about the identity of the owner of this imposing residence. To that end, they have hypothesized that the owner could have been either a Roman official stationed in the region, or a local elite who adopted traditional Roman motifs for the decorative parts of the domus. In any case, archaeologists have only been able to excavate a section of the house, possibly comprising the courtyard area. So further explorations could lead to even more answers and discoveries that could provide additional clues about the history of this fascinating Roman domus in present-day Israel.